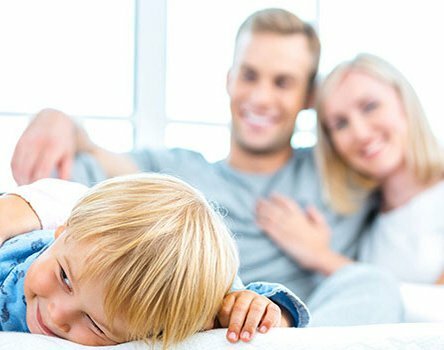 We spend a considerable portion of our day indoors so it is important to get indoor air quality right. The modern home has become increasingly energy conscious. In order to save energy we have blocked chimneys, insulated, draught proofed, triple glazed and progressively sealed our homes from an essential supply of fresh air. This may save energy and make our homes more comfortable, however we pay the penalty by living in and breathing in this stale, contaminated, humid air. Volatile Organic Compounds (VOC’s) created from the use of aerosols and formaldehydes found in furniture and carpets. Toxic mould spores found in household dust. The solution is Heat Recovery Ventilation. This is a system that extracts the stale, humid air from the house and replaces it with clean fresh air. This fresh air is tempered by the energy recovered from the stale air. Active dehumidification in the cold season. Approximately 30% of the heating energy can be saved in air tight buildings with highly efficient MVHR systems compared to naturally (uncontrolled) ventilated buildings. For more information please feel free to call AerHaus Ventilation on 058 20005 or call in to us at 18 Dungarvan Business Park. You can also email plans to info@aerhaus.com.